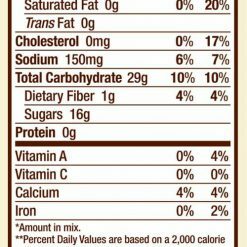 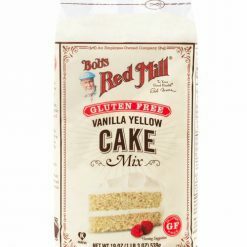 Bob’s Red Mill Gluten Free Vanilla Cake Mix is an easy-to-use and versatile mix that the whole family will enjoy making and eating! 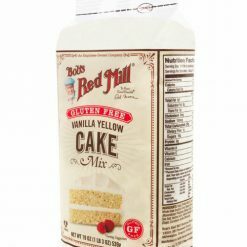 It creates a delicate vanilla cake to which you can add fruits, spices, caramel, chocolate, or other flavors to make the cake your own. 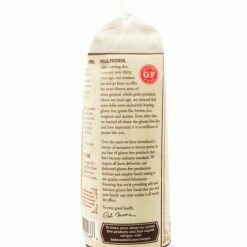 Great for cupcakes, cake pops, layer cakes, and even coffee cakes! 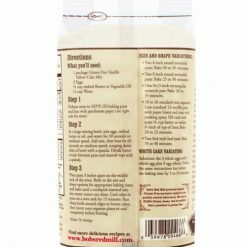 All you need from your kitchen is 3 eggs, water, and 1/2 cup of vegetable oil. 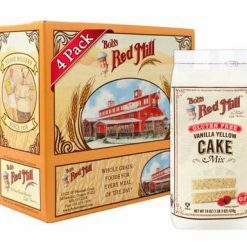 One package makes one 9-inch, 2-layer cake or about 18 muffins. 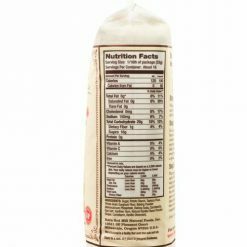 Like all of our gluten free-labeled products, this product is processed in a dedicated gluten free facility and is R5-ELISA tested to confirm its gluten free status.